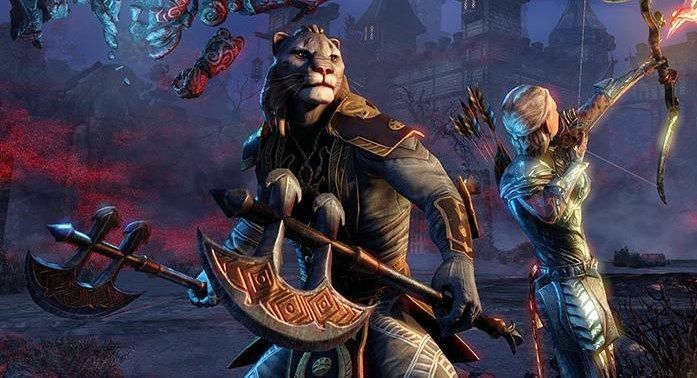 Bethesda is teasing the next expansion to its Elder Scrolls Online MMO with a Twitch stream that will, eventually, culminate in the world premiere of the teaser trailer. It’s not much to look at right now, just a Dragonstone that is partially illuminated by magic. But once fully lit, the fun (that is, the trailer) will begin. I’ll be honest, I’m not 100 percent certain as to how to make the magic happen. Clicking on the Twitch screen causes a sparkle effect that I assume has something to do with it, but lots of people are also typing “dragon” into the chat window, and I wonder if maybe they know something that I don’t. All of that and more, including what will apparently be a new Necromancer class, will be revealed once the stone is sufficiently magicked. We’ll update with the teaser and other info when it happens.